AMIDEAST UAE has been implementing the Youth English Program (YEP) in Ras Al Khaimah since February 2018, providing after-school English-language instruction to 50 students (female and male) in Sha’am, the most northerly village on the UAE's Arabian Gulf coast. AMIDEAST’s local partner is the Sheikh Saud bin Saqr Al Qasimi Foundation for Policy Research (QF), the Tawon Sports Club, and the two key schools of Sha’am, the Ghalilla Boys School and the Al Wadi Girls School. The program, funded by the U.S. Department of State, aims to prepare secondary-school students for increased opportunities in their professional and academic lives. A twice-weekly extra curricular program, the program provides students with high quality English-language instruction enabling them to improve their English-language proficiency and communication skills. Within the language curriculum, as well as through special workshops and activities, the program also focuses on important life skills, cross-cultural awareness, and community engagement. The students are gaining an appreciation of international cultures. Additionally, students are developing a better understanding of their country and culture through field trips and activities in Abu Dhabi, Dubai, and other emirates. 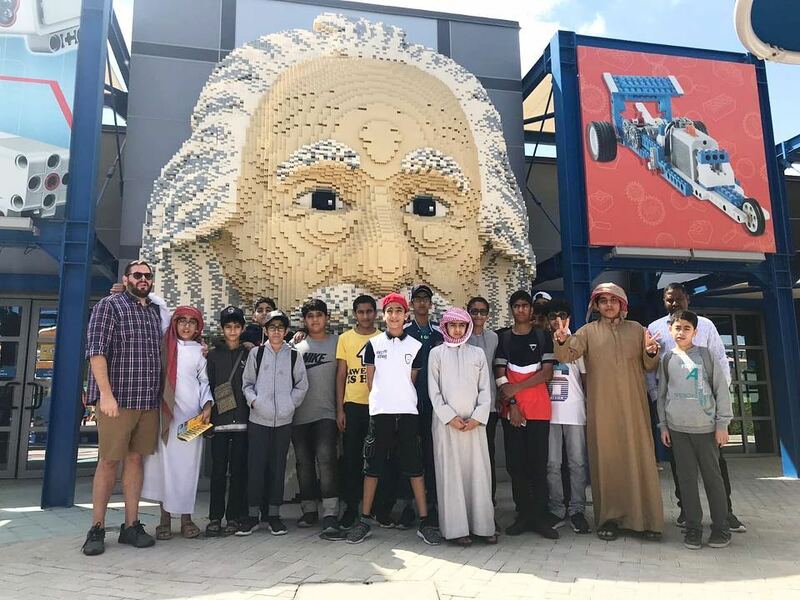 During YEP 1, the students completed 120 hours of English Language and 60 hours of community acitivities that included a visit to a key national landmark, EXPO 2020. The year end ceremony was held in RAK on December 8th and studnets celebrated their acheivements with their parents and communicty leaders. YEP 2 started in Janaury 2019 and will end in December 2019. English Language Courses: The English language curriculum consisted of everyday communication skills at progressively higher levels, intensive practice in the four skills: reading, listening, writing and speaking. It also encouraged students to broaden their awareness of practices and perspectives around the world, as well as in their own community. Personal Development: In addition to English language skills, special modules focused on developing skills such as leadership, team building, critical thinking, and problem solving. In addition, AMIDEAST provided sessions on academic and career advising that are age-appropriate and goal-oriented. Student self-assessment will be integrated throughout the program, including during the first orientation session, as these youth become increasingly aware of their own abilities and potential. Cultural Enhancement and Community Engagement: Extracurricular and cultural enhancement activities were held on Saturdays and during intensive sessions, and included group leadership and team-building activites. Within both the English language courses and these activities, YEP promoted the acceptance and tolerance across cultures, including a deeper understanding of the students’ own culture. This was done through readings, discussions, guest speakers, cultural events, and holiday celebrations.